Kitchen and Bath renovations have become easier with the help of Lowe's Project Interiors. We offer interior design services with a degreed interior designer and a licenced contractor to take care of your project from top to bottom. With 40+ years of combined experiance, receive one-on-one personal service, a design that's all your own and an install team that has been ranked 95% overall in customer satisfaction. Come see me at Lowe's of Wake Forest NC to get started today! When it comes to choosing a glass repair company, not all companies are created equal. At Glass Solutions, we place a deep emphasis on providing outstanding glass repair services to each of our clients. But it doesn’t just stop there. We are also committed to the professional treatment of each of our employees, their families and the community as a whole. Locally owned and operated, Glass Solutions offers more than 100 years of total combined glass repair and replacement service to our customers, a level of expertise that is unmatched in the Triangle area. This extends to include the degree of skill, training and dedication to excellence that each of our glass installers and glass management staff have received. Sure, you could move, but you've chosen to renovate because you love your neighborhood and you cherish your home. At Residential Remedies, we ensure that each addition maintains--and even enhances--that integrity of place. Our designers and custom builders work together to ensure that your renovation captures what already makes your home special. We blend old and new so seamlessly together that visitors will have a tough time spotting the addition. We've been in business since 1994 and we get it. Your renovation plans are exciting, but the actual renovation process is stressful. We work very hard to make it less stressful. You can trust us to respect your home. You can count on us to leave clean living areas daily, and control dust in occupied areas. Whether residential or commercial, from basic repairs to extensive renovations and custom remodeling, J.H. Kelly Contracting has earned a reputation in the Triangle area for dependability and expertise on projects big and small. Allow us to knock out your to-do list or make your living space more suitable to your lifestyle! 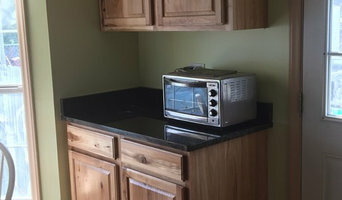 Kitchen Tune-Up specializes in 1-5 day kitchen updates. Ask us about 1 Day Wood Restoration, cabinet refacing & redooring, custom cabinets and design, kitchen organizers and accessories, roll-out trays, custom closets, garage cabinets, and much more. Locally owned & operated by Mike & Robin Meehan. Available by appointment for free in-home estimates. 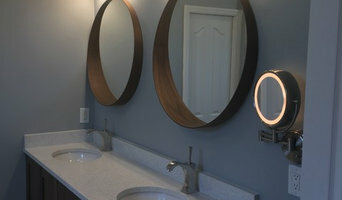 We are remodeling company located in the Cary, NC area. We specialize in kitchens, bathrooms, decks, screened rooms, additions, bonus rooms, interior and exterior trim, painting, and repairs and much more. At The Bath Shop in Raleigh, North Carolina, we focus on one type of home renovation so that we can give it the highest level of quality and give you and your project the personal attention it deserves. We proudly serve as the Triangle’s premier bathroom renovation company, serving Raleigh, Durham, Morrisville, Cary, Chapel Hill, Wake Forest, Clayton, Garner, Youngsville, Carrboro, Fuquay-Varina, Holly Springs, and Apex. To help you determine which level of renovation best suits your needs and budget, we created three design tiers: Boutique, Luxe, and Elite. We encourage you to consider what you envision for your bathroom renovation and meet with us to discuss how to make that a reality. I grew up in the kitchen and bath industry starting to design kitchens and baths at the age of 14. After many years of designing and having designs published, I opened my own kitchen & bath showroom in Raleigh. At Raleigh Tile, we understand your home represents a significant investment. It is our mission to provide a quality installation with total customer satisfaction and we pride ourselves on always doing our job right the first time. Whether you are interested in the renovation of a bathroom or kitchen or looking for custom work in new construction, we will discuss all your options with you so that you feel confident in the decisions you make regarding your project! We are licensed and insured and our employees have decades of residential and commercial tile experience in both new construction and renovation. We are able to adapt to any requirements or special needs that may arise before or during your project. Raleigh Tile is small enough that we can offer you individual attention yet large enough that we can offer you a full line of services. Serving central and eastern NC with it's kitchen and bathroom remodeling needs since 1992. Total House + Flooring Inc.